I write these thoughts on an iPad Air 2 -- which, until the big-screen iPad Pro is released in November, is the current top-of-the-line tablet from Apple -- on a plane. I'm using it instead of a laptop. I'm typing on the screen. Why am I not using the 11-inch MacBook Air I have in the overhead bin, 10 feet from me? Because the iPad slides in my seat pocket. It's my book; my movies; my games. And if I need it to be, my quick writing tool. It's not perfect. It's not perfect for writing on, or for editing. But it's always felt more evolutionary. Apple's taken things forward another step with the iPad Pro, in ways that seem to have grown with the processing power. Now it's as powerful as a laptop. And, it's gotten bigger -- a 12.9-inch screen -- because it can. I'd been looking forward to a more laptop-like iPad for years. So why am I uncertain that the iPad Pro is the answer I've been looking for?, What do we do with the existing MacBooks? Apple has created a weird set of parallel universes here, MacBooks are for work -- the "trucks" of the computing world, as Steve Jobs said years ago, In that metaphor, the then-new iPads were the cars -- smaller, sexier not today satan ii iphone case and more consumer-friendly, But now iPads are turning into trucks, Trucks which are sitting next to the other trucks, Which truck do you buy? That's the problem, With the specs I'd want (128GB, Wi-Fi-only) and the accessories I'd like (yes on the Smart Keyboard, no the Apple Pencil for now), the iPad Pro will cost $1,118 (UK and Australian pricing has not yet been announced, but directly converted it would be about £725 and AU$1,578.).. The new 256GB 12-inch MacBook is $1,299, £1,049, AU$1,799. The MacBook Air I'd buy would be the 13-inch, 256GB model: $1,199, £899, AU$1,549. And the 256GB 13-inch Retina Pro I like? $1,499, £1,199 or AU$2,099. This is no rhetorical exercise, either. I actually went through this process while buying a laptop a few months ago. It was a surprisingly hard process, even though we actually review these laptops; especially since each model has its tradeoffs. I picked the 512GB 13-inch Retina Pro. I paid up for the storage because I'm consolidating lots of photo libraries. I wanted the better screen. I needed a new home computer that could handle whatever I needed. If I was buying a second computer, I'd choose differently -- maybe something light, Would it be a 12-inch MacBook, or an iPad Pro? 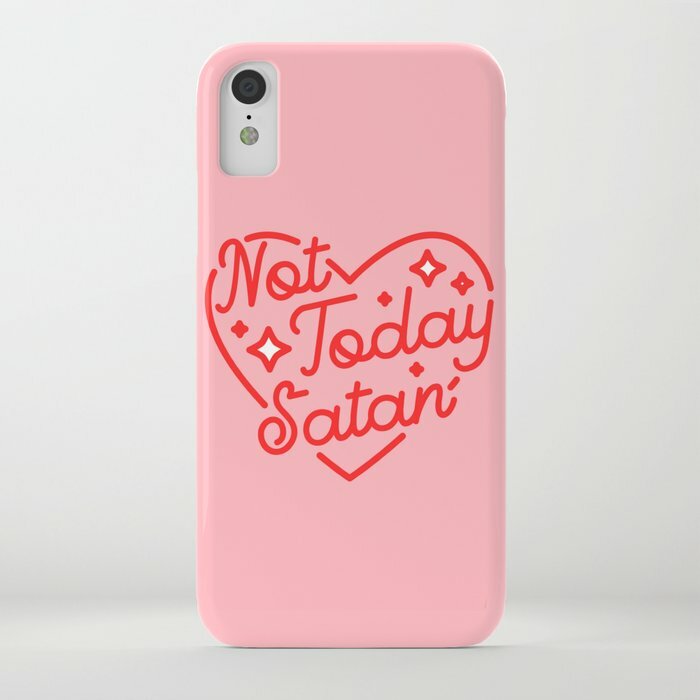 I'm still not sure, The iPad Pro is large enough, and light enough, to make not today satan ii iphone case itself your main portable/secondary computer, But that's exactly what the new MacBook wants to be, too, And is that even a problem? There's a whole wide zoo of Windows computers, after all, and they start at prices as low as $199, But in the case of iPad vs, MacBook, these devices don't share exactly the same apps, Or the same app store, They're increasingly similar, with Apple's pre-installed apps and iCloud forming a connective bond, But they still live on different planes, iPads and Macs can connect and work together better than ever before, but continue to be different enough to demand different use cases.. I don't want to have to choose which side to live on. I'd prefer one clear path. I've wanted iOS and OS X to merge for years, but I've started to think it may never happen. For now, the iPad Pro seems like a bigger step into iPad as serious computer than anything we've ever seen. But I want to do everything I need on it. I want my Web tools to work; I want to be able to cover events seamlessly while using the software I need and never feel a problem pop up. Are we there? Not yet, not entirely. But maybe when the iPad Pro arrives in November, we will be, just a bit closer.